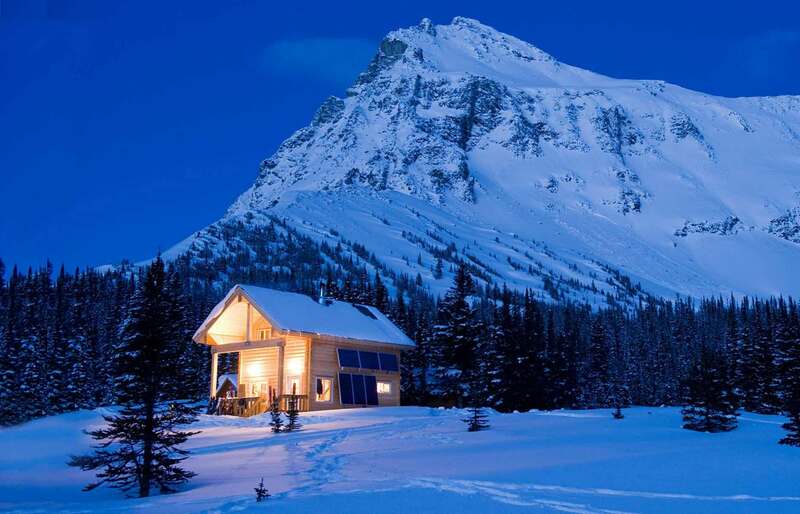 The Mallard Mountain Lodge is our heli-accessed backcountry ski lodge deep in the western ranges of the Canadian Rockies. Once you arrive at the lodge there are no TV’s and no neighbours…but plenty of quiet, breathtaking alpine terrain to explore right from your doorstep. In both summer and winter, we accept just 8 guests at a time. 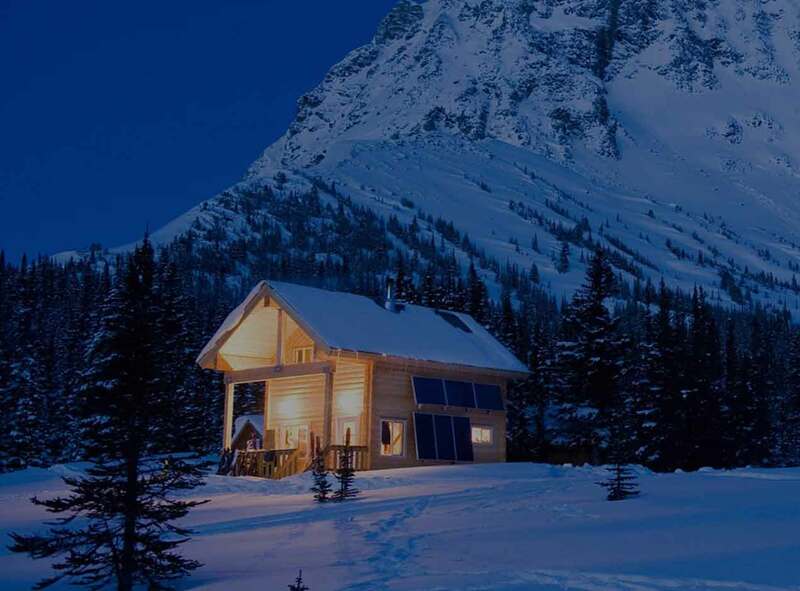 Groups of 6 to 8 (depending on package) automatically have private use of the lodge and smaller groups can easily reserve the whole lodge for private use. The 30-minute, 77km helicopter flight each way offers spectacular views of the Monashee Mountains, the Canadian Rocky Mountains and the historic Canoe River. 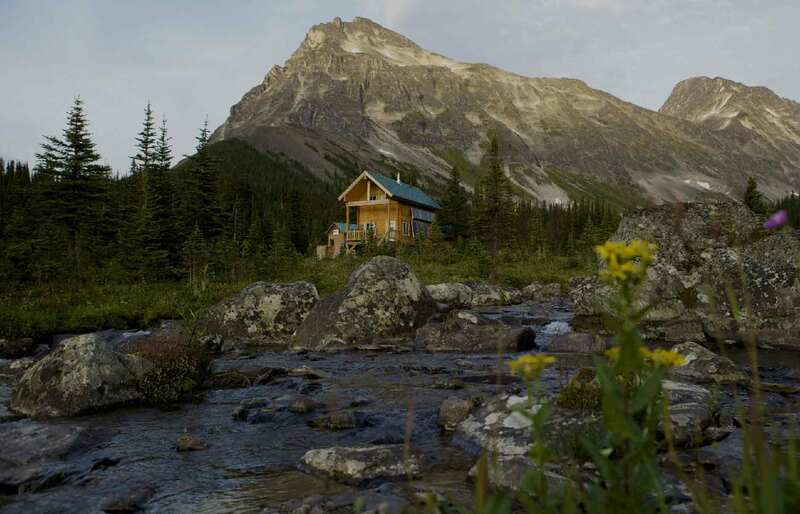 It is the perfect way to round out your epic backcountry skiing, snowboarding or hiking trip. In the winter guests get the best of both worlds. Being located in the most westerly slopes of the Canadian Rockies means we’re close enough to the coast to get regular cycles of those famous BC snowstorms, while also being far enough inland to get a double whammy of ultra-light Rockies powder. 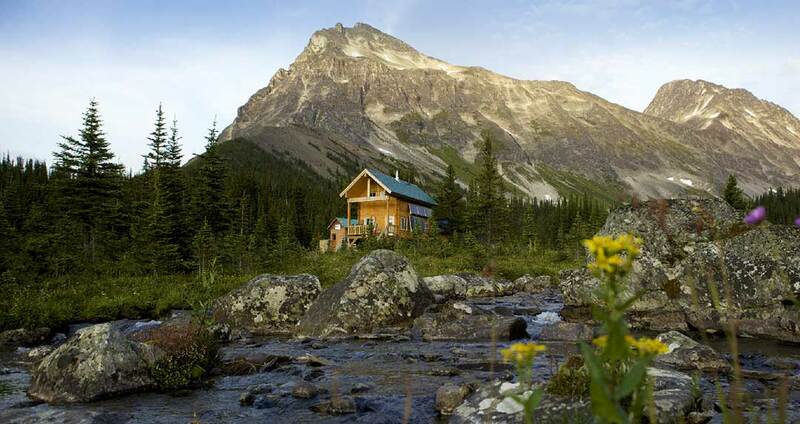 In the summer the snow melts quickly to reveal sprawling alpine meadows filled with wildflowers, lakes, waterfalls and trails in all directions perfect for a Canadian Rockies hiking vacation. Join us on one of our backcountry ski and snowboard packages in the winter or choose a hiking package for the summer. Our remoteness is twice the industry average where helicopter flights to other lodges average just 8 to 15 minutes. With us your trip will start and end with a spectacular 30-minute helicopter ride through the terrain where you’ll have the adventure of a lifetime. Reserve the lodge for 7 nights, 4 nights or 3 nights, build a custom trip for your group or book private use of the whole lodge. Choose between All-Inclusive, Self-Guided with one of our in-house chefs, Self-Catered with a pro-guide, or Self-Guided & Self-Catered.